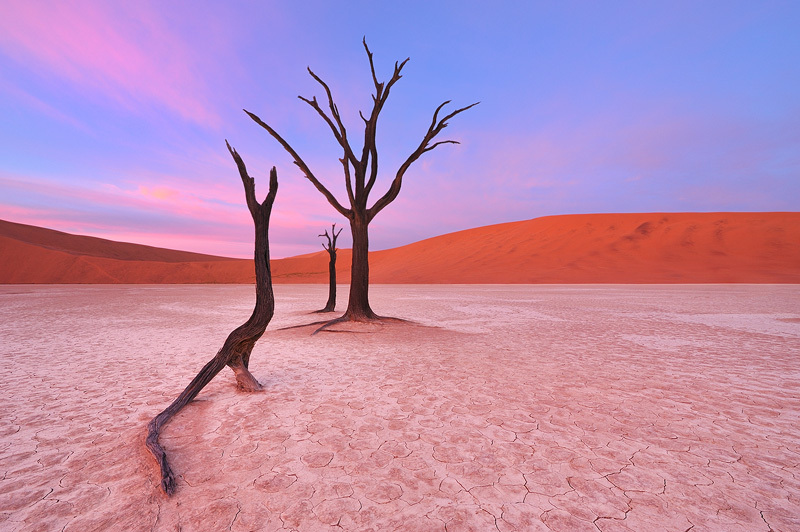 Dead camelthorn trees in Deadvlei, Namibia. Only a few clouds in the sky were enough to create the most beautiful pastel colors during pre-glow. The white clay picked up the subtle colors from the clouds, connecting foreground and sky.